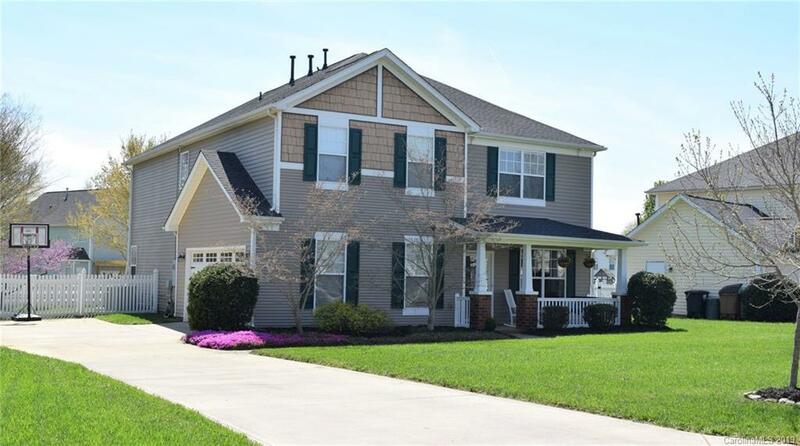 Beautiful move-in ready home in Taylor Glenn loaded w/upgrades inside and out! Downstairs has custom built-in drop-zone, wood flooring, crown molding, huge kitchen w/island, granite countertops, custom lighting, tile backsplash, computer niche, gas fireplace & tons of natural light. Upstairs features massive bonus room (pool table stays! ), 3 roomy secondary bedrooms & large guest bathroom, spacious master suite w/garden tub & ceiling fans in all rooms. Enjoy the outdoors w/rocking chair front porch, screened & tiled rear porch, paver patio w/12-volt lighting, hot tub (stays! ), and gorgeous landscaping. Convenient to schools, Sun Valley Commons/Stonecrest Theater and Wesley Chapel Village Commons. New roof 2018! New HVAC 2017! New garage door and opener 2016! Lovingly maintained and ready for new owners!